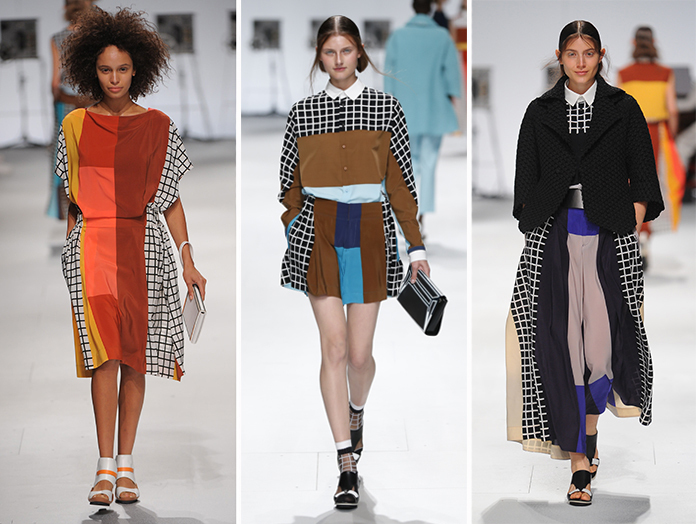 Issey Miyake has created a new deconstructed women's line for spring/summer. The pieces combine traditional proportions and patterns while using a subdued palate that is laced with cutting edge production technology, textures and construction techniques. 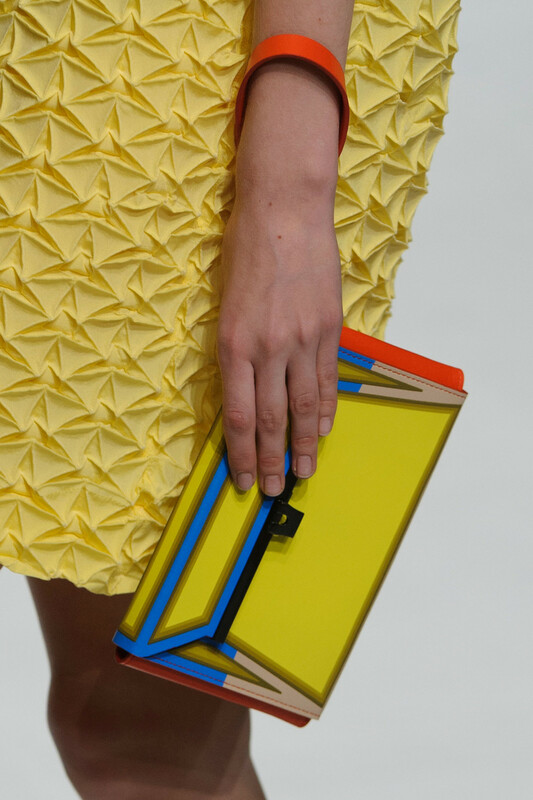 Accessories such as the large bag and clutch have a near comic book-like color blocking style that really stands on its own.